Established in 1972, MTI Wireless Edge Ltd. (AIM: MWE) is a premier designer, developer and manufacturer of state-of-the-art antennas and antenna systems for myriad wireless markets. Headquartered in Israel and part of the multi-faceted MTI Group, a corporation with widespread technological interests, publicly traded on TASE, MTI Wireless Edge is an internationally recognized producer of Commercially-of-the-Shelf and custom-developed antenna solutions in a broad frequency range of HF to 90 GHz, addressing both commercial and military applications. Throughout its long tenure in the industry, MTI Wireless Edge has earned its stellar reputation through consistent hard work and integrity. Synonymous with high performance, the Company's antennas conform to ETSI, FCC, and international standards and specifications and are developed in its ISO 9001:2000 & ISO 14001 certified product plant. In addition, all MTI products comply with CE, RoHS (for commercial products) and IEEE standards, based on customer requirements. The Company’s competitive advantage lies in its state-of-the-art designs and innovative use of materials and its uncompromised approach to quality solutions and products. MTI Wireless Edge has vast experience in providing field-proven solutions to the International and Israeli Military markets. Enabling seamless and safe connectivity for military communications is an ongoing 35-year tradition at MTI Wireless Edge and one of the core anchors of our offering. We understand the challenges faced by forces on land, in the air and at sea and the need to interconnect between their networks. Our military antennas are deployed in the USA, Europe, SE Asia, Israel and Australia, serving a widespread and eclectic base of military forces and the equipment providers and integrators that supply them. These include: the US Navy and the Israeli Defense Forces (IDF); ELTA, DRS, Elbit and Rafael; Tadiran Spectralink, Tadiran Systems, and Tadiran Communications; BDL, Loral, CSIST in Taiwan, Indra in Spain, Elisra, and Netline; the Czech Republic Department of Defense, EADS in Germany, the Defense Agency in Korea, Asselsan in Turkey; and others. Our antenna systems are all developed using leading edge technologies and comply with the strictest quality standards demanded in today’s military arena. Covering a broad spectrum of frequencies with perfect matching, they consistently perform with high quality and enable seamless high power handling. 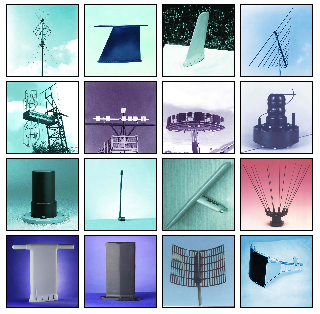 The full range of our antenna products – from ready-to-deploy to designed-to-spec – is constructed from the most robust metals and dielectric materials available, and are suitable for Ground, Airborne and Seaborne applications. Our state-of-the-art simulation processes assure that MTI delivers fail-safe antenna systems to its customers in the defense establishment with uncompromising consistency. MTI employs superior analysis practices in testing its antennas, utilizing cutting-edge software tools. We develop a wide range of antennas for specific military environments where deployment is an ongoing challenge, such as mobile and fixed for ground forces; air, shipboard surface and submarine. Every step in our comprehensive approach to facilitating superior simulation and testing processes in the creation of defense-ready antenna systems equipment is conducted with flawless synchronization. In this manner, we are able to complete customized development, design and manufacturing projects quickly, cost-effectively and with remarkable precision and attention to quality. Today’s fixed wireless domain continues to grow as a compelling alternative for providing enhanced communications services in highly competitive markets. The need for cost-effective, robust and technologically advanced wireless equipment is mission-critical for providers who seek to grow their businesses and diversify their service offerings by building out a future-proof infrastructure. By leveraging its innovative, field-proven military technologies, deep engineering capabilities and smart production and testing facilities, MTI Wireless Edge has carved out a unique position for itself in the commercial flat panel antenna market. A one-stop-shop for WiMAX-ready antennas, we offer the widest array of high quality/low cost solutions available in the market. We pay close attention to the trends impacting the commercial and military segments and respond accordingly, applying advanced MESH and Smart Antenna technologies in the development of best-of-breed products. From Point-to-Point (PtP), Point-to-Multipoint (PtMP) and LMDS, through Wireless Local Loop (WLL), MDS/MMDS and Wideband Wireless Local Loop (W2LL), MTI has all key commercial wireless application bases covered. A veritable one-stop-shop for fixed wireless antenna solutions, MTI empowers its teir-1 OEM, Systems Integrators and WISP client base with the most innovative systems available in the market. Ruggedized and weatherproofed to endure even the harshest outdoor environmental conditions, all MTI flat panel antenna products are designed for flawless performance in virtually any commercial wireless deployment. Moreover, all MTI products conform to international environmental codes for non-hazardous substances. Boasting a lightweight, compact and aesthetically pleasing construction, MTI antennas and systems are standards-compliant, and include a wide choice of WiMAX-ready products. Available in stand-alone, integrated or embedded configuration formats, MTI fixed wireless products operate in all the licensed and unlicensed bandwidths that typify wireless network deployments. In addition to extensive activity in the standard Fixed Wireless arena, MTI is currently pioneering an industry-unique product offering in the field of Ultra-Wideband. Antennas in this line will sport an ultra-flat design, provide an excellent broadband range (2-10 GHz) and superb time response. Whether ordering standard off-the-shelf products or collaborating with MTI in the creation of customized designs that address unique deployment challenges, our development and production teams are here to serve you faithfully, ensuring that every antenna product or system that leaves our plant gives you the desired Wireless Edge. MTI Wireless Edge is the world’s cutting edge antenna technology manufacturer for RFID applications and is dedicated to providing antenna solution to any RFID application, including: Portal, Near Field, Hand-Held, Forklift, Passive/Active, Indoor/Outdoor and others. MTI offers a very large portfolio with over 100 High Quality Low-Cost models of: Linear and Circular, Wide Band and Narrow Band, Single and Dual polarized antennas for Active and Passive RFID systems. Frequencies that MTI antennas serve include 450MHz, 865-870MHz, 902-928MHz, 950-956MHz, 2.4GHz as well as 865-956MHz Wide band UHF and integrated Enclosure Antenna solutions (IAE). This diversity gives our customers the ability to use our products all around the globe for any kind of RFID applications. We are dedicated of providing antenna solution to any RFID application including: Portal, Near Field, Hand-Held, Forklift, Passive/Active, Indoor/Outdoor and others. Increases the tags reading rate in various RFID applications by allowing the reader to receive much weaker tags transmissions. 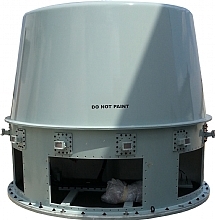 120°x30°, 150°x50° & 30°x60° low axial ration antennas – enable the best portal coverage. The antenna increases the portal coverage and tags reading rate by eliminating the reader’s need to switch between few antennas for the same coverage (with the large Elevation beam) and ignore nearby tags out of the portal (with the narrow Azimuth beam). Enables the implementation of item level RFID applications that requires NF tags. The NF antenna is capable of reading NF tags attached to liquid content products. MTI takes Wireless Antenna Technology To The Edge. MTI Wireless Edge is the world leader in the development, production and marketing of high quality, low cost, flat panel antennas for WiMAX, Fixed Broadband Wireless Access and RFID applications as well as other applications such as remote metering and networking, wireless security and survailance, and wireless monitoring and control. MTI has more than 30 years experience in supplying antennas for both military and commercial applications from 100 KHz to 40 GHz. MTI flat panel antenna range for WiMAX and Fixed Broadband Wireless Applications [FBWA] includes both base station [BTS] and subscriber [CPE] antennas for various broad and narrow band fixed wireless applications including smart antenna solutions such as MIMO and Dual Slant antennas for IEEE-802.16e mobile WiMAX covering both licensed & unlicensed bands. MTI smart antenna solutions for WiMAX next generation systems are designed to deliver improved performance & network coverage. MTI Military products include a wide range of broadband antennas, tactical antennas and specialized communications antennas, antenna systems and DF antenna arrays installed on numerous airborne, ground and naval, including submarine, platforms worldwide. MTI’s ISO 9001 and ISO 14001 certified antenna development and production plant, based in Israel, produces small, low profile antennas with superior performance, and gain. In house test facilities include antenna test ranges, varying in length from 8 meters to 300 meters. MTI Wireless Edge provides a selection of MIMO and smart antenna solutions for WiMAX next generation for both CPE and Base Stations [BTS] improving the system performance and network coverage. Using MIMO or smart antennas at the base station allows the choice of the most cost effective subscriber [CPE] antenna system improving the Return On Investment [ROI] of a WiMAX network. The MTI smart antenna solutions are used for beam forming, beam switching, diversity combining and switching, MIMO and other intelligent antenna systems. The MTI MIMO and smart antenna system solutions augments the signal quality & detection of the radio-based system through more efficient transmission or reception of radio signals hence enhancing capacity, coverage, throughput, frequency reuse and more. Smart antenna system solutions combine an antenna array with digital signal-processing capability to transmit and receive in a predefined or adaptive, spatially sensitive manner. By applying a variety of new signal processing algorithms, the adaptive system is able to effectively locate and track end-users signals resulting in dynamically minimized interference and maximized signal reception. This dramatically increases the performance characteristics of a wireless system. MTI currently supplies a large selection of vertical and horizontal dual polarity antennas and develops Dual Slant CPE and BTS antennas for IEEE-802.16e Mobile WiMAX in 2.3-2.7GHz and 3.3-3.8GHz frequency ranges. MTI MIMO & smart antenna solutions cover a variety of different frequencies. For example, MTI MT-404052/NV smart base station antenna includes 8 active radiating antenna elements (transmit/receive) and one calibration network. The phase and amplitude matched radiation column is a 3.4-3.6GHz unit with 120° azimuth beam width. The antenna beam shape and direction is managed by the transceiver with the calibration port measuring the phase and amplitude of each radiating column. MTI smart WIMAX self-installed indoor subscriber [CPE] antenna is a compact and easy to integrate, switch selectable antenna array specifically designed to meet the needs of the WIMAX market. The antenna is designed to be either integrated as part of the radio, or, supplied as a separate unit to be added on to the radio by the end user. The MTI smart WIMAX indoor subscriber [CPE] antenna provides full 360 deg coverage by multi directional high gain beams. The high gain directional beams provide better RF link budgets with the base station and reduce side lobes interference. 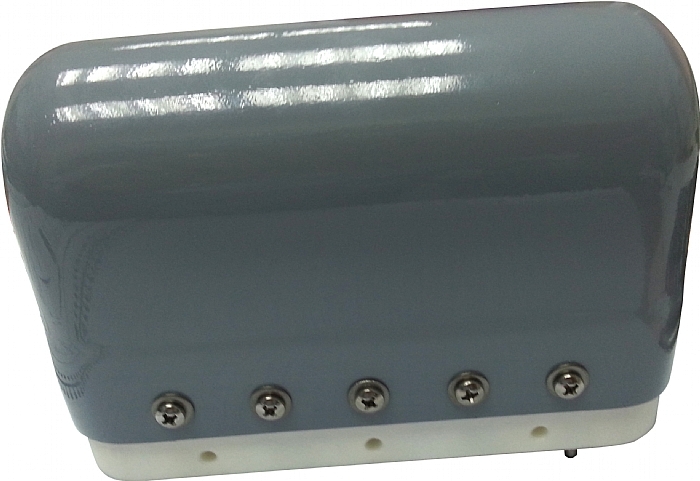 The smart CPE antenna can include 4 to 8 elements with the integral solid state RF switch controlling the active sector. MTI is a one-stop-shop, offering the widest array of high quality low cost, fixed and mobile WiMAX, smart antennas solutions available in the market.